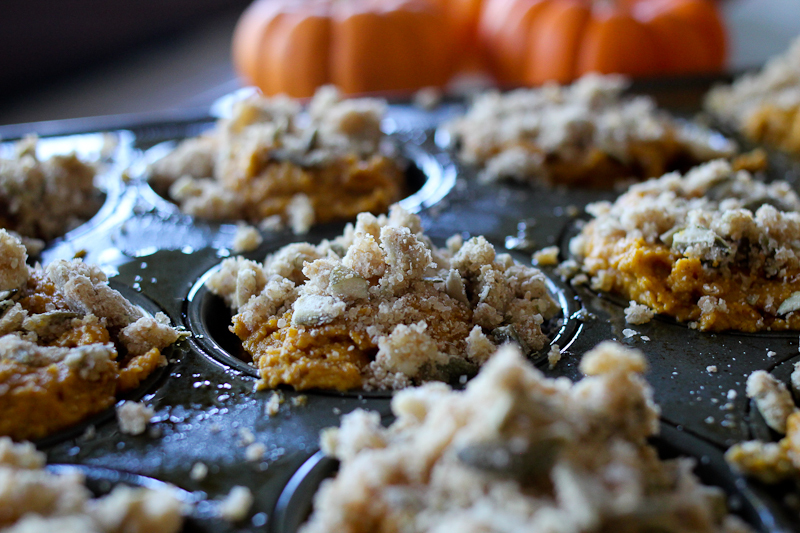 Organic canned pumpkin was what I used for these treats. When I read on the nutrition facts on the back of the can that Vitamin A is way up there with 280% per serving (of the daily values, you know, pretty impressive). 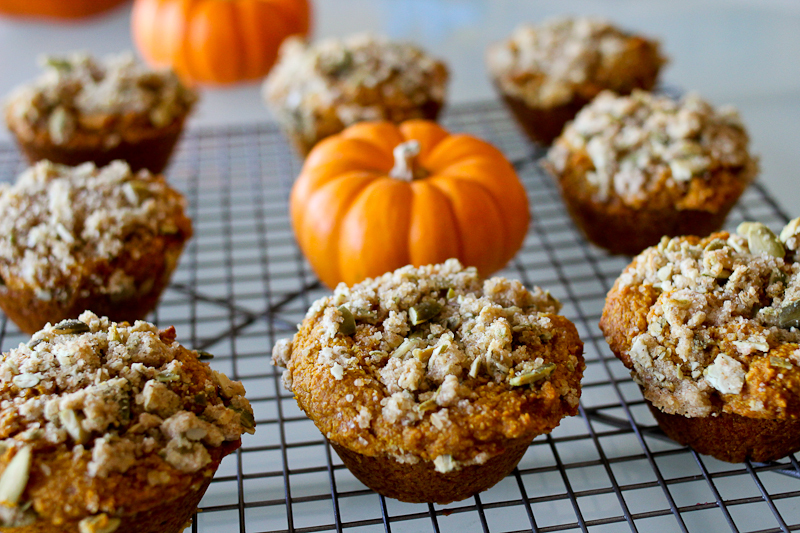 Well, then I packed the whole can of pumpkin into these muffins and my kids still loved them. Sift all the dry ingredients incl. the spices together in a large bowl. Grab a medium sized bowl and combine the pumkin, agave syrup, oil and egg . Add the pumpkin mixture to the flour mixture and stir only until everything is moist. Divide the dough into 12 muffin cups or a greased muffin tray. Sprinkle with the topping and bake for 15-20 minutes. Chop the pumpkin seeds coarsely. Stir the dry ingedients together with the seeds. If you think that may be pushing it with the pumpkin, then try cutting it in half and adding 1 more egg. Try pecan nuts in the topping instead of the pumpkin seeds. This entry was posted in Breakfast, Sweets and tagged græskar muffins, græskar opskrift, pumkin muffins with pumpkin seed topping, pumpkin muffins, pumpkin recipe. Bookmark the permalink.